Halliburton Co. forecast a drop in fracking earnings in the first quarter as the world’s second-largest oilfield services company announced a cut in capital expenditure to match a more disciplined approach from customers. While there should be a modest improvement in actual fracking activity during the period, the pressure on pricing will remain, Chief Executive Officer Jeff Miller said Tuesday on a conference call with analysts and investors. 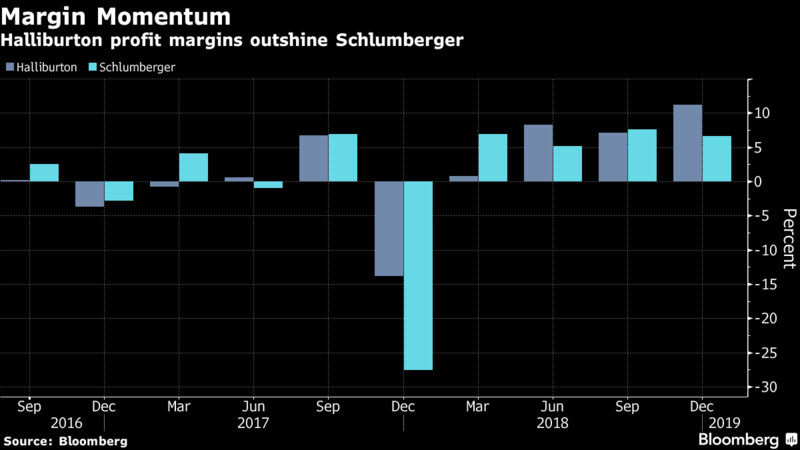 The company’s completion and production segment, responsible for most of Halliburton’s revenue, will see margins drop by as much as 4 percentage points in the first quarter compared with the final three months of last year, it said. The shares dropped as much as 6.7 per cent. Halliburton said capital spending will drop by about 20 per cent this year to US$1.6 billion, matching a similar decline projected by arch-rival Schlumberger Ltd. at the end of last week. The oil industry remains under pressure from investors to curtail its spending, especially in light of the decline in crude prices in the past three months. Small exploration companies, which have limited access to capital, are likely to cut spending most aggressively out of everyone if oil prices don’t climb, Miller said. In contrast, Halliburton expects large independent oil explorers to spend roughly the same as last year since 2018 budgets were based on US$50 oil prices. West Texas Intermediate crude traded at around US$52 a barrel on Tuesday. Many of the oil majors "recently shifted their investment priorities from offshore and deepwater to shorter-cycle North America shale plays," Miller said. "That is good news for Halliburton." While the company posted better-than-expected fourth-quarter earnings and sales, profit in the first quarter may come in below some estimates. 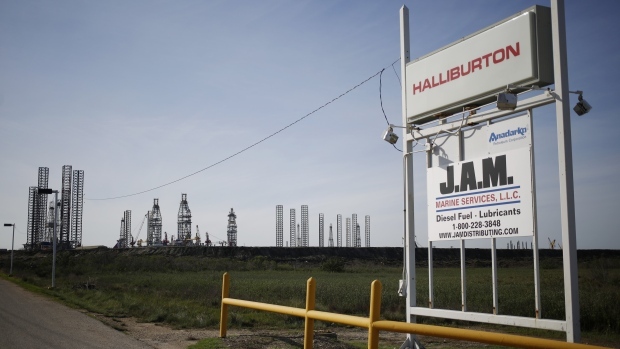 In addition to a quarter-on-quarter decline in profitability for completion and production, Halliburton also sees smaller margins for its division that handles drilling and evaluating reservoirs. That should bring first-quarter earnings per share to 22 to 24 cents, Stephen Gengaro, an analyst at Stifel Financial Corp., wrote in a note to investors. That’s lower than the current 31-cent average of analysts’ estimates in a Bloomberg survey.